Canadian triathlete Jen Annett finished seventh at last weekend’s Ironman Texas event, and while she didn’t win, she finished the cycling portion of the race in 4:25:10, which was a new all-time Ironman bike course record. However, her record won’t stand, and neither will Matt Hanson’s would-be Ironman world record time of 7:39:25. Organizers ruled that no records would stand because the bike course was shaved from 112 miles to 110 miles “in the interest of athlete safety.” The marathon course was also apparently about 300 meters short. Earlier this morning, IRONMAN made the decision to cut a portion of the bike course reducing the distance from the standard 112 miles to approximately 110 miles. This decision was made in the interest of athlete safety. Because of the shortened distance, no course records will be recognized. IRONMAN Texas, this is total BS, as the course was short last year as well. If you “know” that the course is short, this should be explained prior to race start, stating that “no records will be recognized”. However, this was not the case, and as someone who now hold an “unrecognized” world record, am extremely upset about this, as are many other athletes both professional and age group. I will also like to bring up the fact that last year the male Ironman bike record was broken and recognized, even tho the course was short. An Ironman is an individual sport, and racers are prohibited from riding within 12 meters of each other in order to keep them from saving energy and time by drafting. After all, what’s a marathon, plus 112 miles on a bike, plus 2.4 miles in the water if you have help? Fans and coaches were pissed with Ironman Texas, especially after they appeared to ignore the drafting while also invalidating records over safety reasons. 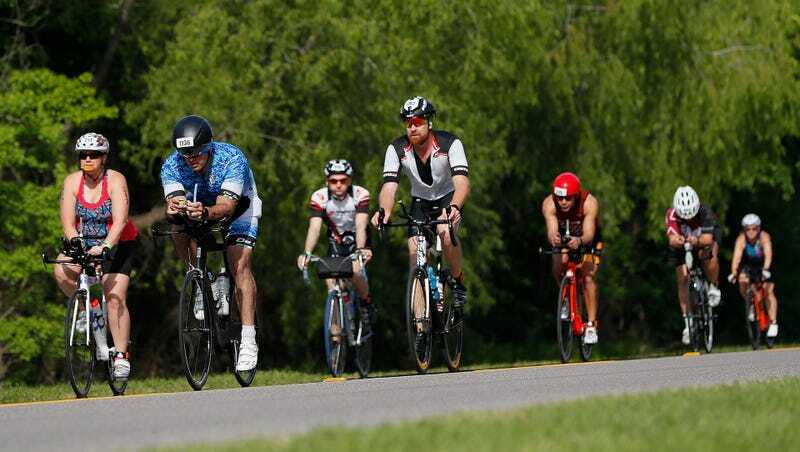 This is not Ironman Texas’s first foray into controversy: The 2016 bike course was cut 30 kilometers short due to foul weather and road construction issues.